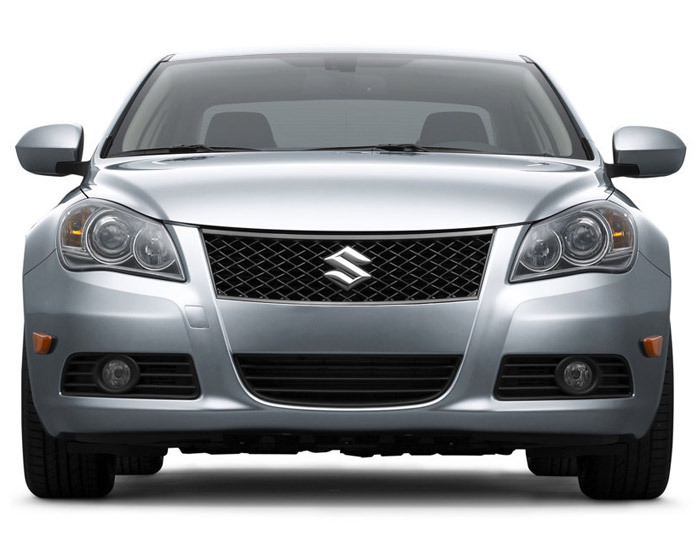 Suzuki has officially revealed the 2010 Kizashi mid-sized sedan, that is offered in both front wheel drive and all wheel drive forms. Based on the Kizashi Concept that was previewed two years ago, the mid-size sedan is treated to a large prominent grille up front with curvaceous design lines under the projector beam headlights, which is also evident at the rear end. There are two exhaust tailpipes as well, on each side. 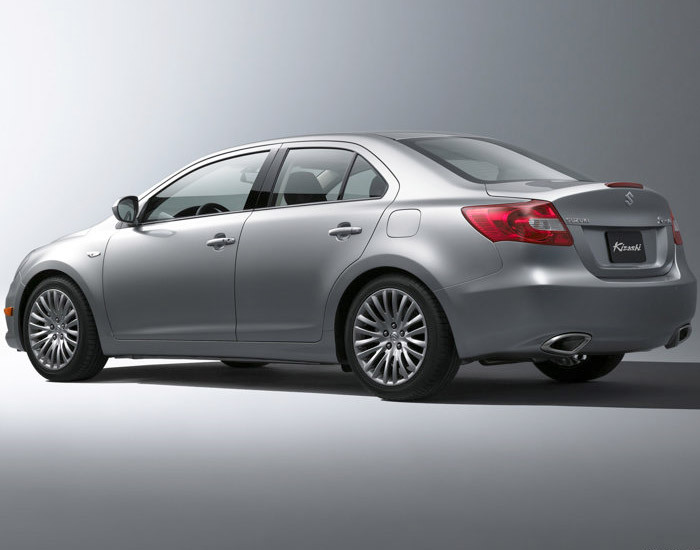 The Kizashi also sits on the ground with 18-inch alloy wheels, treated to a multi-spoke design. 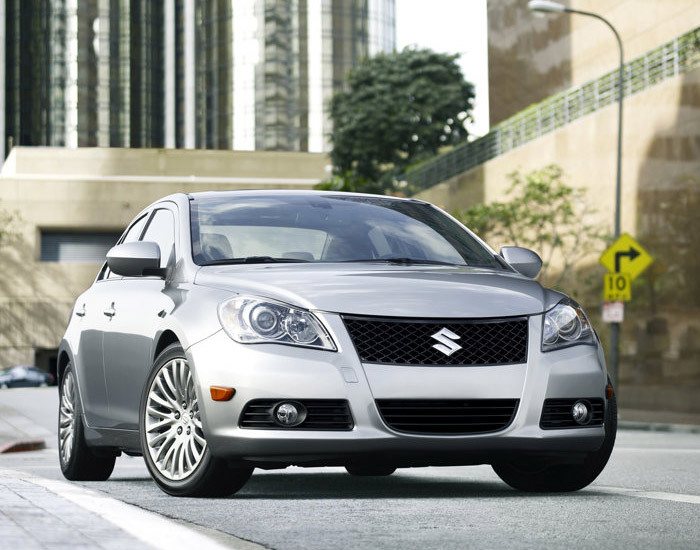 Built at Suzuki's brand-new manufacturing facility in Sagara, Japan, the 2010 Kizashi is equipped with a standard 2.4-liter DOHC inline four-cylinder engine offering a more potent standard engine than many competitive best-sellers. The engine employs both an aluminum block and cylinder heads, providing a lightweight installation; aluminum pistons with low tensile force rings deliver improved power and efficiency. Dropped-forged connecting rods, rotating on a forged steel crankshaft, contribute to the inline four's durability, and a balancer shaft delivers improved engine balance and reduced noise, vibration and harshness (NVH). The responsive inline four is connected to a six-speed manual transmission, for heightened performance in the low gears, along with relaxed and economical cruising capability in the higher gears. Customers may opt for an available Continuously Variable Transmission (CVT) that delivers both the driving experience and fuel efficiency today's consumers demand, while not compromising the character preferred by driving enthusiasts. 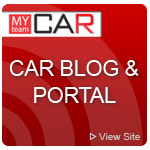 That character is enhanced with paddle shifters, optimizing driver control regardless of speed or driving environment. With either transmission choice, the Suzuki Kizashi is engineered to return competitive fuel economy numbers for fuel-conscious consumers. In addition to this excellent new powertrain, and to even further enhance the Suzuki Kizashi's strong efficiency story, Suzuki is developing an even more fuel efficient hybrid version that will be added to the lineup in the future. 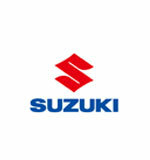 In order to successfully enter a field already saturated with countless nondescript transportation appliances, Suzuki breaks away from traditional values normally associated with the mainstream, standing firm on Suzuki's belief in delivering a dynamic and exhilarating driving experience. That driving experience was validated on Germany's Autobahn, Switzerland's Alpine twisties, cobblestone roads of rural England and the legendary Nrburgring. Suzuki Kizashi's thoughtfully crafted exterior design is best described as the seamless melding of European style and Japanese craftsmanship. Tailored for the driving enthusiast, Suzuki Kizashi's bold and aggressive stance is complemented by available 18-inch alloy wheels; contemporary styling with its lean proportion and minimal front overhang injects the sophistication appropriate to a performance-oriented sport sedan. As with the Suzuki Kizashi Concept series, the front end of the production Suzuki Kizashi expresses both strength and style, while the vehicle's impeccably engineered body reflects Suzuki Kizashi's underlying strength and distinctive combination of capability and refinement. Suzuki has taken advantage of its expertise in the compact car segment to efficiently execute larger yet still tidy proportions that afford comfort and practicality without the wasted space. 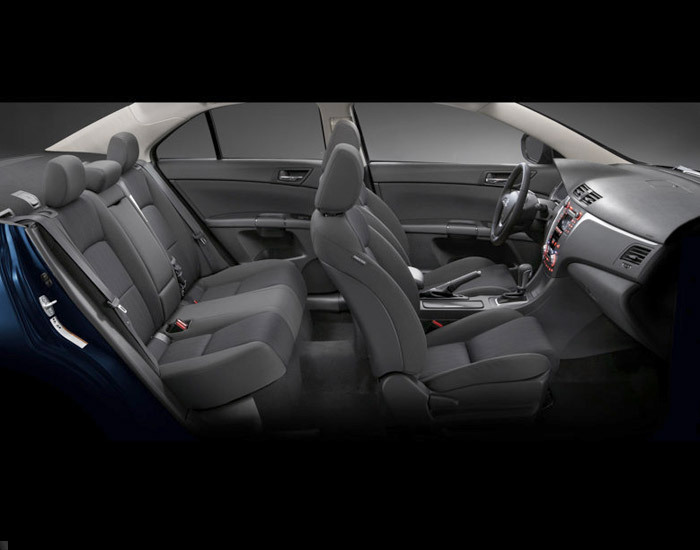 Along with cabin proportions that reward Suzuki Kizashi drivers and passengers with comfort and roominess, Suzuki pursues a contemporary, upscale interior feel such as standard sport seats in line with the vehicle's on-road performance characteristics. 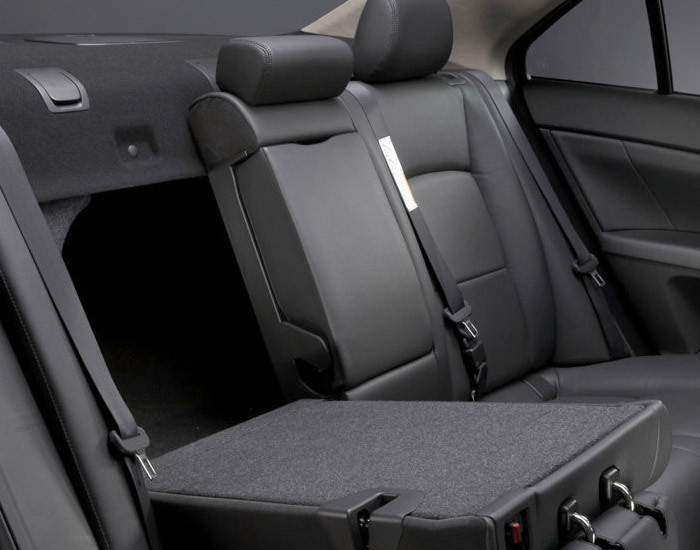 Driving enthusiasts will appreciate Suzuki Kizashi's sporty and elegant instrument panel, while consumers seeking a luxury sedan will be pleased with the vehicle's available leather seating, featuring high-density foam and premium quality materials rivaling upscale competitors. The all-new Suzuki Kizashi includes a class-leading list of standard safety equipment, including class-exclusive standard eight airbags, Electronic Stability Program (ESP®), an anti-lock braking system with electronic brake-force distribution, projector beam headlamps and a tire pressure monitoring system. 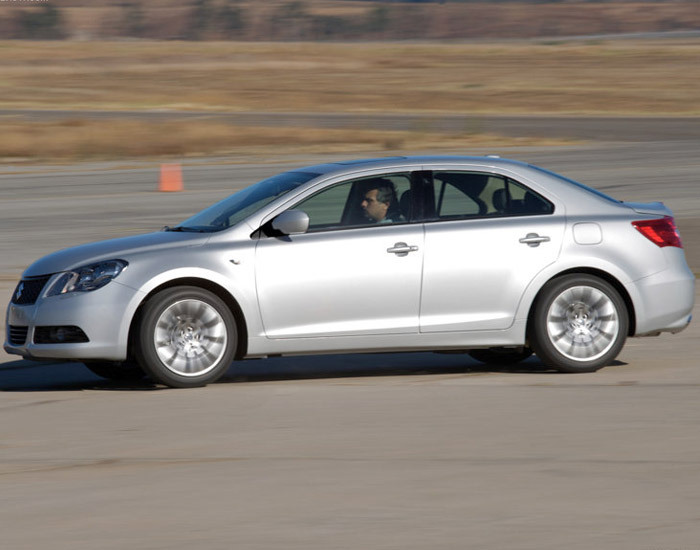 Also included as equipment on the Kizashi is Suzuki's developed synergetic vehicle dynamic control. 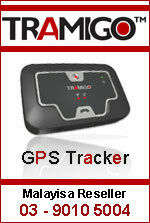 This system assists drivers control and a fun-to-drive experience with minimal intrusiveness.